An electronic method of intelligently absorbing and removing the electrical energy and works similar to the anode used on the Rad Cap. 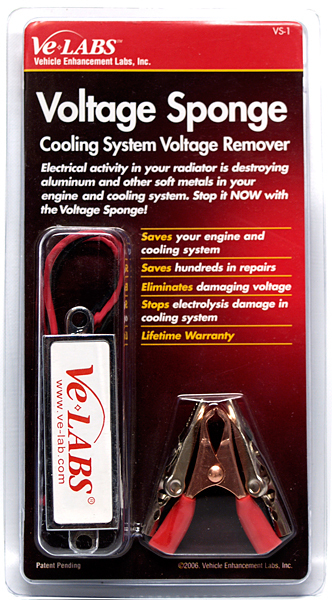 Voltage Sponge is a simple 2 wire installation that targets the component needing protection, such as attaching to the radiator or heater core without grounding. 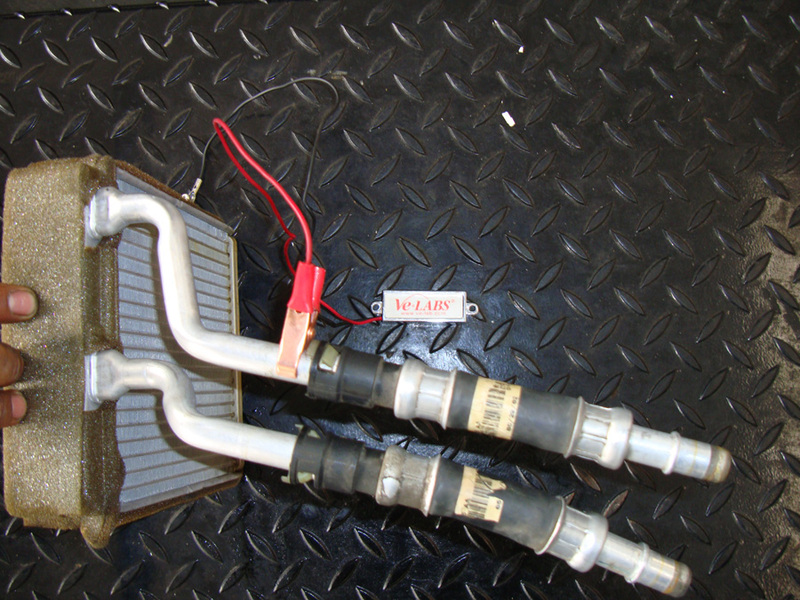 This continuously works even when the engine is not running and requires no maintenance. Added benefits include eliminating static shock and static electric energy which can cause drivability problems associated with voltage signals sent from sensors to computers. This can be attached to either the heater core or radiator. 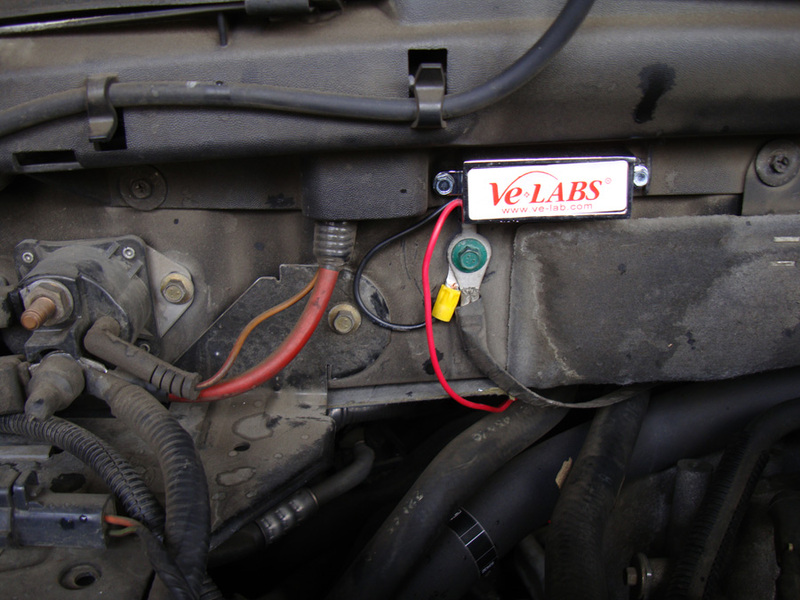 When attaching it to the heater core use the red clip that is supplied in the package and attach it to the red wire. Then connect the clip on to the heater pipe that sticks out of the firewall into the engine compartment in between the firewall and the hose and hose clamp. The black wire needs to be attached to a good ground. Mount the metal housing securely.